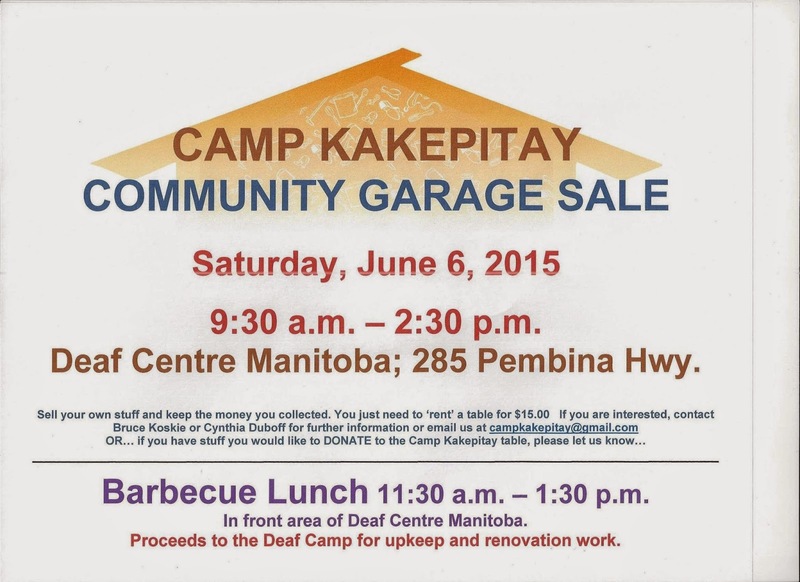 Deaf Centre Manitoba Inc.: Camp Kakepitay Garage Sale & BBQ Lunch for June 6th!! Camp Kakepitay Garage Sale & BBQ Lunch for June 6th! !